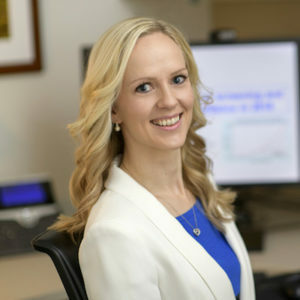 Sigrid V. Carlsson, MD, PhD, MPH, presented “Shared Decision Making for Prostate Cancer Decisions: When the Patient has a Laundry List and the Doctor has 8 Minutes” during the 27th Annual Perspectives in Urology: Point Counterpoint on November 9, 2018 in Scottsdale, Arizona. Counseling patients about the nuanced risks and benefits of management options during a time-constrained office visit can be challenging. However, this is an essential step in shared decision making and aligning medical decisions with patient-expressed preferences and values. Doctors understand the anatomy of the human body. But in order to responsibly practice shared decision making they must understand the human psyche. For example, urologists understand the controversies surrounding the United States Preventive Services Task Force’s unfavorable recommendations on PSA screening. However, the burden of overdiagnosis and the potential impact of a PSA test to a patient requires a different skill set. 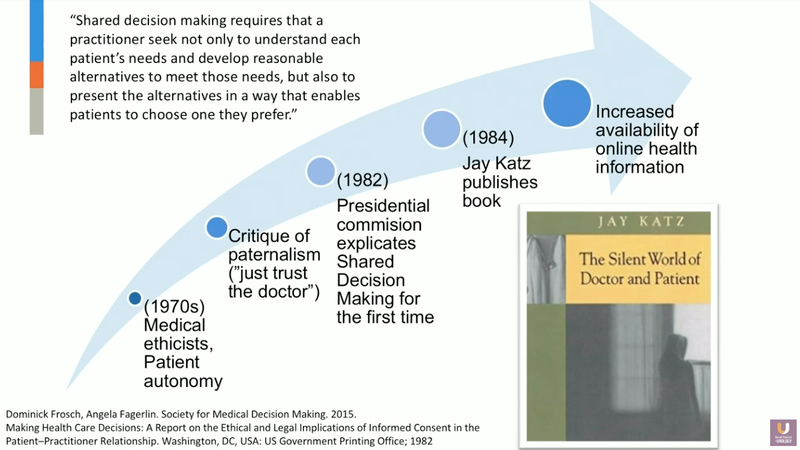 This presentation reviews the history and psychology of shared decision making and active surveillance. Specifically, it will discuss counseling patients to make informed decisions on PSA screening with a simple schema. It will also describe a systematic approach to discussing active surveillance with patients with low-risk prostate cancer. Perspectives in Urology: Point Counterpoint (PCP) is an annual CME-accredited conference devoted to discussing and debating the latest topics in men’s health, general urology, and genitourinary cancers. The conference’s format includes more than didactic lectures. It also includes debates, point-counterpoint discussion panels, and unique case-based presentations. Dr. Carlsson presented this lecture during the 27th PCP in 2018. Please visit this page in order to register for future IUP meetings.